The Restaurant of Politehnica University Timisoara was assaulted on November 7 - 8, 2018 by thousands of young people looking for a job or an internship. The 13th edition of Career Days, the largest university career fair for students and graduates in Romania, brought this year to Politehnica the largest employers in Timisoara and in the area, 50 companies that have presented over 2000 career offers (diploma project offers, offers of practice, job offers as well as other possibilities of collaboration). During the two days at the Politehnica Restaurant from the Students Complex they have thousands of young people come, mostly students, but also graduates or high school students, to study offers and submit their resume. Only on the first day the number of participants was about 3000. 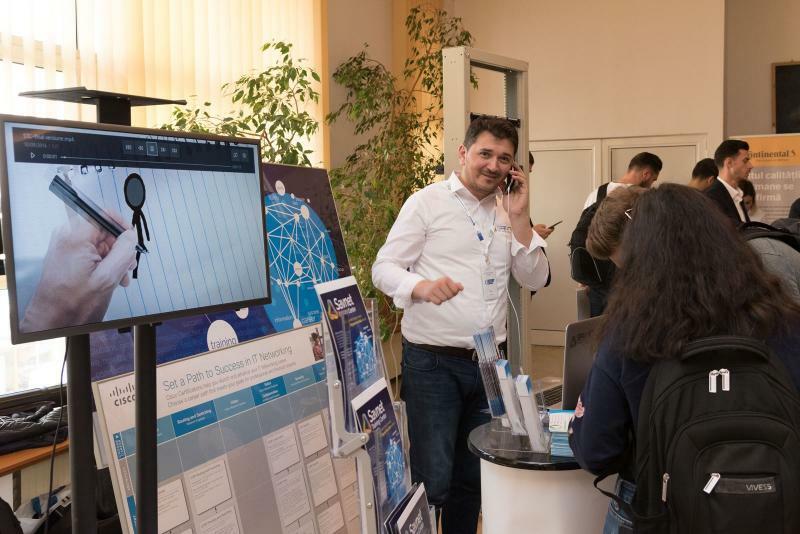 The event was organized by the Career Counseling and Guidance Center of Politehnica University Timişoara, which has the mission to ensure the best information, professional orientation and social integration of the students. The same Career Counseling and Guidance Center also runs the UPT Caravan, whereby the offer of Politehnica University Timişoara is presented to the high schools from all the counties in the western part of the country. Politehnica is thus the link between high school graduates and the labor market, preparing them for a successful career.